Before we dive into the discussion of best watches for EMTs, we need to have a clear understanding of what EMTs are. EMTs are Emergency Medical Technicians who are trained to respond to an emergency situation regarding issues, traumatic injuries, and sudden scenes. EMTs have a very tough job which includes a lot of movement and contact with the fluids as well for the patients. So, an EMT watch should be resistant and have must have specific functions. An EMT’s job is highly demanding and hectic. A good watch id is often overlooked when we talk about the necessary equipment for EMTs. They have to be on duty 24/7 and a good watch will go a long way. A watch can be a very important tool when responding to an emergency situation and they need to keep track of every little thing. Finding a watch that is durable, reliable with the functions that we need for EMTs is tough. Especially, when the person doesn’t want to spend a fortune and needs a fine watch as well. 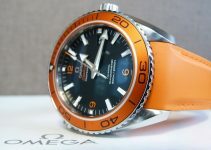 The article will review some of the best watches for EMTs according to their affordability, looks, and functionality. Here are our top 5 picks as the best watches for EMTs. The band is made from resin so it is flexible and easy to clean. You don’t know how much mud or even blood will come in contact with you. It has a digital + analog dial for more accuracy. The dial is scratch resistant and the window itself is very tough. It is extremely shock resistant, ready to take any hits that come its way. There is a stopwatch that comes with a speed indicator. It has an LED light in case you are in dark. Even though the design is very sleek but some people call it bulky. But this is the best package deal you will get at the price that it comes in. 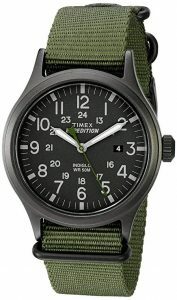 Another brand that makes quality but affordable and durable watches is Timex. Especially its expedition series which is known for tough jobs and is in line with someone who is in the field or on duty all day. The price is so reasonable that with all the functions it has in it, you won’t even scroll for the next pick. This may sound like a disadvantage but it’s not. 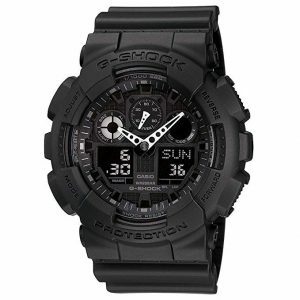 Unlike G-Shock, it has an only analog dial but it really makes the display clearer and less complicated. It features an Indiglo technology which makes it extremely easy to read the time in dark areas. It has a nylon strap which is best for people who get it dirty easily. In addition to all the features, it is an extremely affordable choice for EMTs. It has a Japanese Quartz movement with a date display at 3’o clock position. And, of course, its water resistant as well. All in all, we would definitely recommend it to EMTs, paramedics and even nurses. 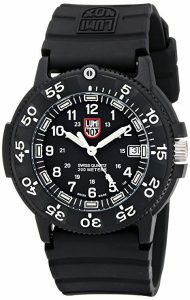 If the price isn’t a problem and you want to spend it on something which is worth the money, well then, Luminox EVO Navy Seal is your watch. If it is good enough for Navy Seals, just know that it will get you through the toughest times without even having a scratch on it. This a luminous watch. So, it’s one of the best watches for night shifts. It has an analog display with a high-quality Swiss movement. It is super water resistant up to 200 meters (would be a waste for Navy Seals without this feature). It has a polyurethane glass and mineral glass. The design itself looks very daring but wait till the numbers glow, you’ll see why it’s all the money. Your EMT shift will be legendary with this amazing watch. This watch comes in a variety of colors for people of different styles and tastes. 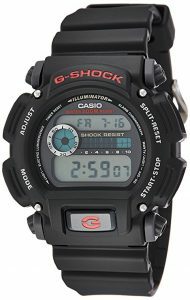 It may look like that we are doing Casio G-Shock a favor or they have paid us for the review, but trust us, this is all because of their dedication and commitment to their customers and because the watches are durable and reliable. Not only that but these watches are super cheap for the functions that it comes with and thus it is very easy to replace them, just in case. It has built-in shock resistance and that is why it lasts very long. It is water resistant in case you have to dip your hand in water or even if blood and fluids come in contact. It has a great backlight which really helps if you want to check the pulse or anything in the dark. It also had a stopwatch and a countdown timer for more accuracy. And finally, this huge watch has a Quartz movement. This model comes in ‘Best watches for EMTs’ for a reason. It is durable and very well protected at affordable prices. 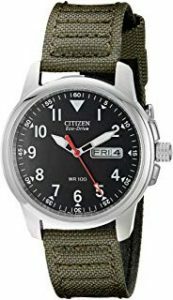 If you are not into extra features and innovative technology, then this Citizen Men Eco-Drive is the watch for you. It is simple and has an overall great appearance. This watch is perfect for an EMT who needs an analog watch with a second’s hand to take the pulse. It has three luminous hands so it’s easy to read the time in the dark. It has a round black dial with date and day display as well. As we already mentioned, it is an analog. The case is made up of stainless steel. The watch is also waterproof up to 100 meters. The only drawback might be its strap which can pick up a lot of dirt in time. But this watch is stylish with almost everything an EMT needs. Even though we have already mentioned the best watches for EMTs but we would still like to guide you on what features you should be looking for when buying a watch for this purpose. This might not look like a very important feature but it very important that you look for a watch which has a metal or stainless-steel band. The leather or any other strap may get dirty with the kind of work that they are supposed to do and there is no way they can clean it later on. Even though it looks good to have a watch with a lot of functions but all of those are displayed on the screen which makes a fuss and makes it very had to read the time. So, try to opt for the watch which has a clearer display. Obviously, with the amount of contact that they have with fluids, blood, and water, it is very necessary that they wear a watch which is water resistant. Or they may just have to remove the watch every time there is an emergency situation and you sure wouldn’t have time for that. The fact that you are going to be wearing the watch all day long, makes it very unreasonable to but a watch that is worth fortune. So, go for the watch that is more affordable so you don’t have to worry about replacing. Hopefully, our list for best watches for emts has helped you. 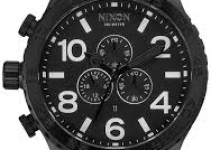 If you are looking for even more tougher watches, you may be interested in reading about these durable watches we have reviewed in another post.